Thursday 7th May 2015 was the day millions of British people headed to the polling booth to vote as part of a complex decision making process; Britain’s leadership. Also on this day 70 Public Health Masters students from the London School of Hygiene and Tropical Medicine also made complex decisions around delivering healthcare in the inaugural Perspectivity Public Health Challenge. The Perspectivity Public Health Challenge creates a realistic scenario which enables players to experience the dilemmas of where and how to invest (regionally or globally, in prevention or cure), how to pay for healthcare investments, medicines and research plus working out which health products offer the best return on investment? These dilemmas fitted perfectly into the MSc integrating Public Health in Practice module which brought the theory alive. The idea of creating a Public Health Perspectivity game came after Dalya Marks and Rachael Meikle played the climate game in Utrecht, October 2014. Rachael has a background in public health in her home country New Zealand. 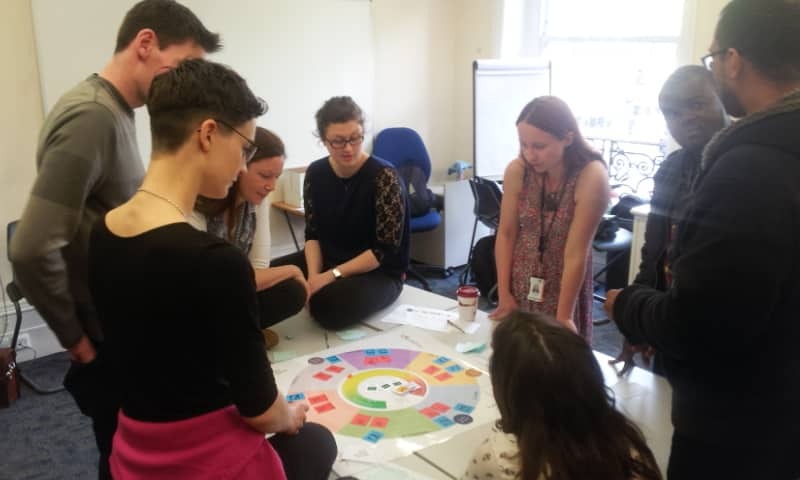 Dalya teaches at London School of Hygiene and Tropical Medicine (LSHTM), The lessons learnt through self-reflection and dialogue from that game were so transferable to the health sector, so they proceeded to develop the new game with Perspectivity colleagues. Public Health deals with health at a population level, so it is vital for those working in the sector to create effective dialogue across many sectors. ‘Making Health Everyone’s Business’ is key to improving population health so dialogue with other sectors such as transport, education, social agencies and local authorities or governments is critical to this success. The collaboration and support from Perspectivity has enabled the sharing of different tools and encouraged a fun creative learning approach. This new game was possible due to the support from Anastasia Vinovska and Thekla van Lingen, interns at Perspectivity Enterprise, and Herman van der Meyden, one of the inventors of the original Perspectivity Game. Tom Hitchman of Perspectivity’s UK hub who has given up his time to pre-test the game and act as a game leader on the day. Thanks also to LSHTM colleagues for trialing the game, facilitating on the day and covering the financial expenses of external facilitators.